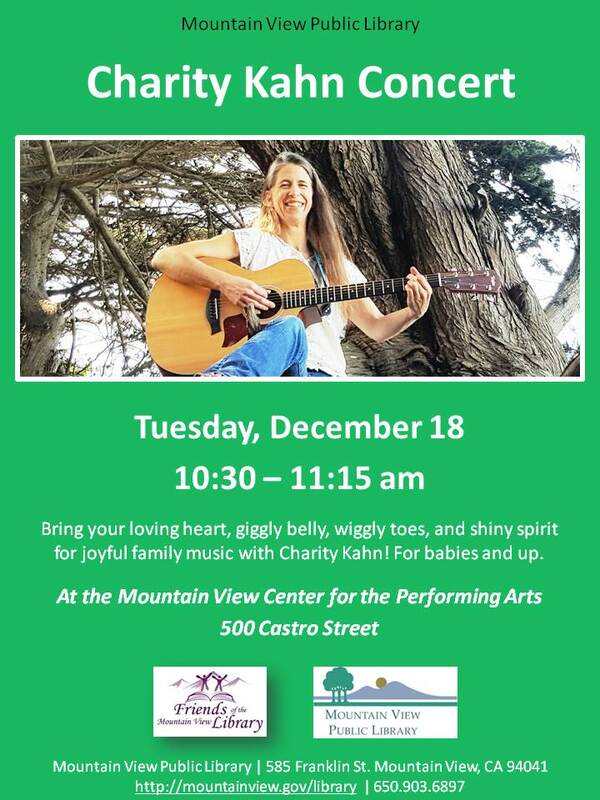 Bring your loving heart, giggly belly, wiggly toes and shiny spirit for joyful family music with Charity Kahn! For babies and up. At the Mountain View Center for the Performing Arts, 500 Castro Street (across the park from the library).